Google Account Activity is useful for the Track all the activities that you are doing with your Google’s account. Google is a more secure compare the others. because Google publish new products with the high security. before Google Launch Gmail 2 step verification for secure your Gmail Account from hackers. and now it with the Account Activity Report so it’s more secure. When The Question for The Security and Privacy Google always on the top. Google Account Activity Records all The Activities that you are doing with Google like as what you search on Google, Which Browser and Operating System you are using and which videos you are watched on the Youtube. Google Send you an Email for the Account Activity on some time period. Google Show you the all things that doing with your Google Account. So you can verify only you are using your own Google Account. You can Sign Up for the Google Account Activity Via below Link. The Google Dashboard is Show you the Which Google Product You are using and all activities doing with the Products. 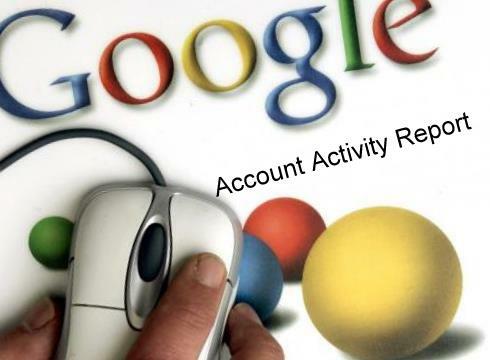 Google Record all The Activities after Sign In to Your Account. Google know all the Activities that You are doing with the Google Products. What is Click Fraud and How It is Harmful For Advertiser?